Kurtis Burnell handles the ball in tournament play on the weekend. 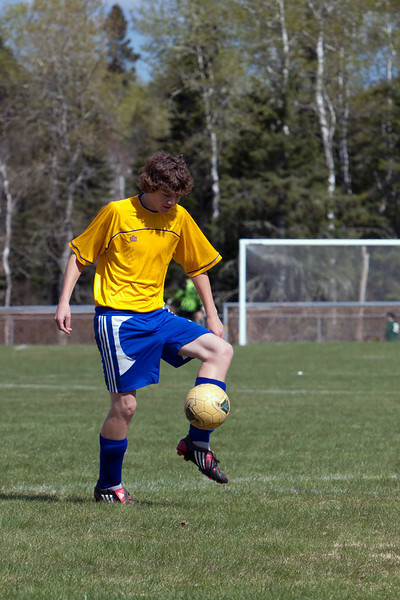 The Boys Soccer team was in Kenora on the weekend for tournament play. The boys played well, but came up short in the end and were defeated in the consolation final. Boys and Girls soccer teams are in Dryden tomorrow as they meet Beaver Brae and the Muskies in league play. Come out to the Dryden Soccerplex across from New Prospect school to cheer on your Eagles!